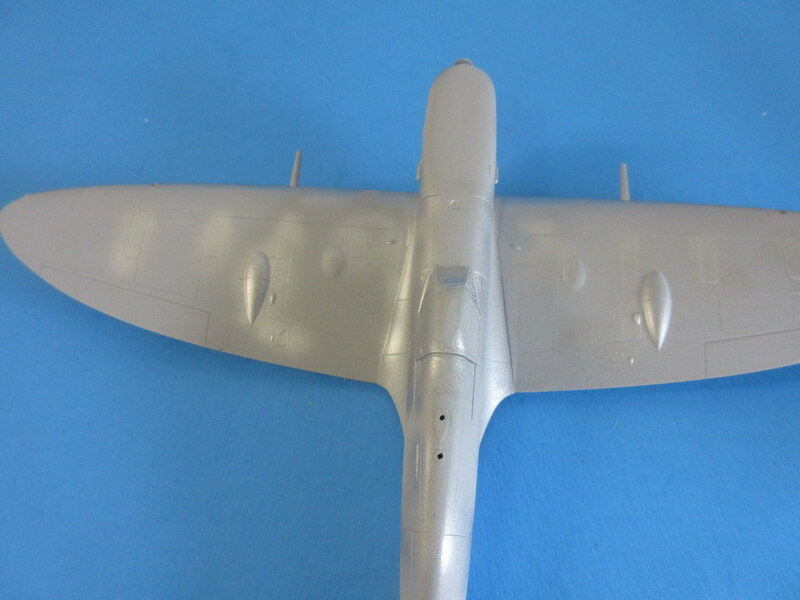 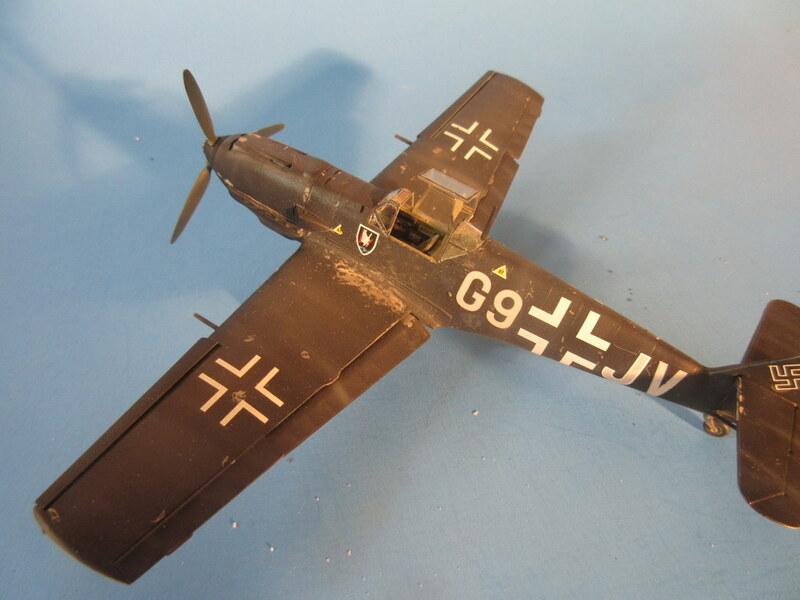 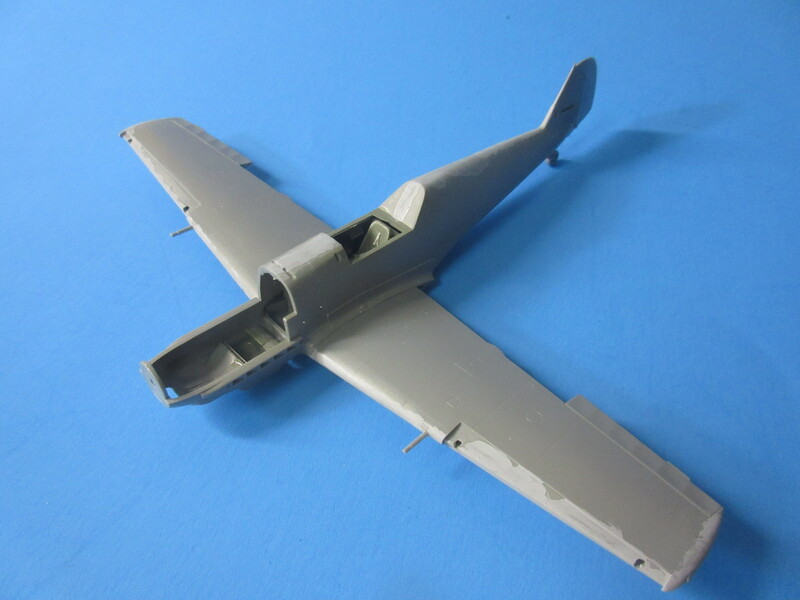 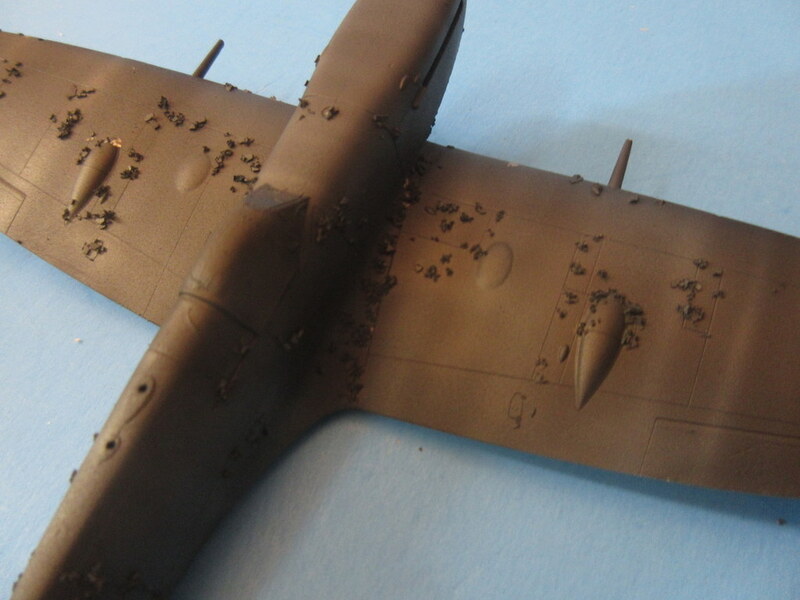 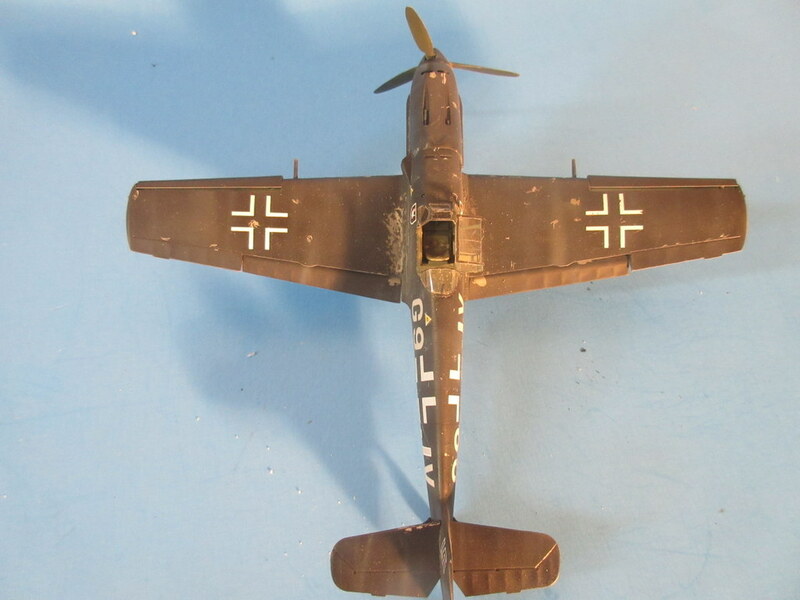 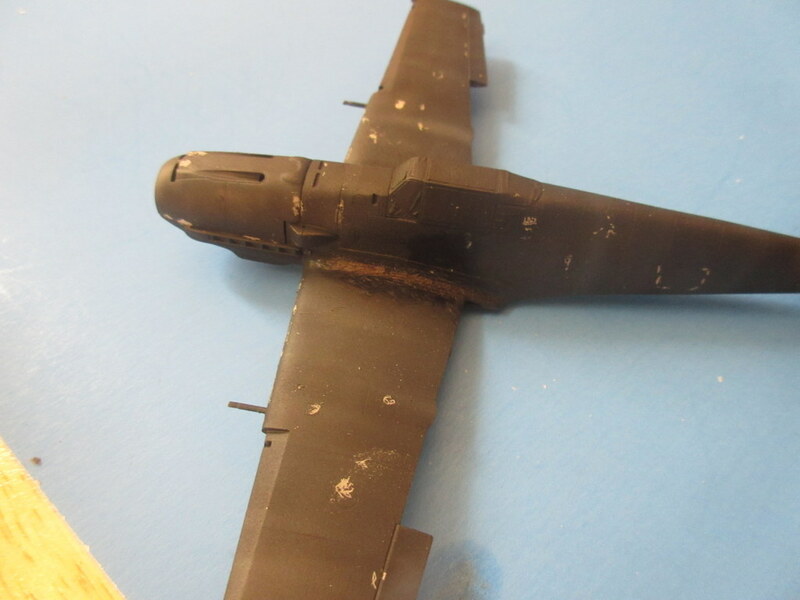 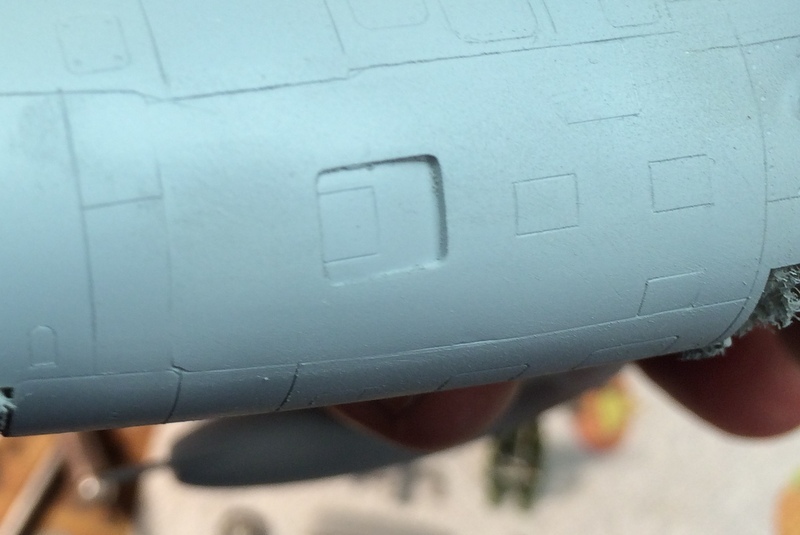 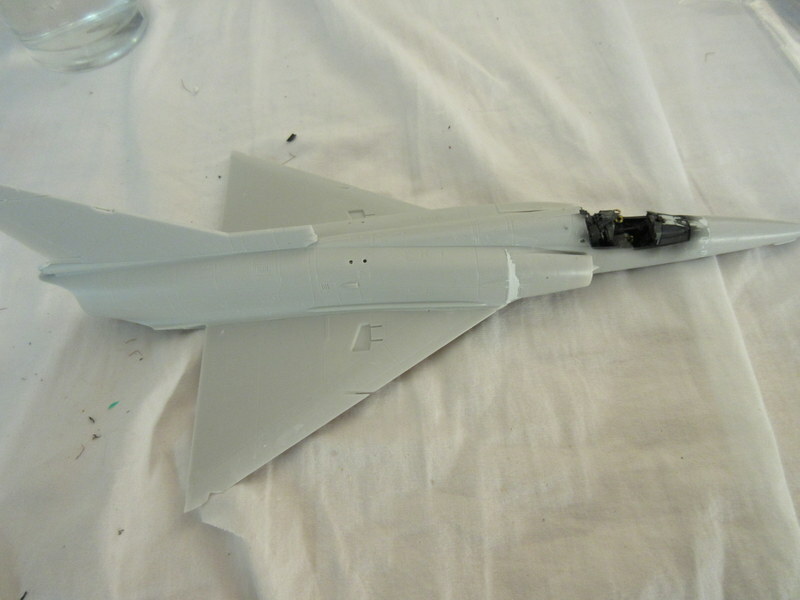 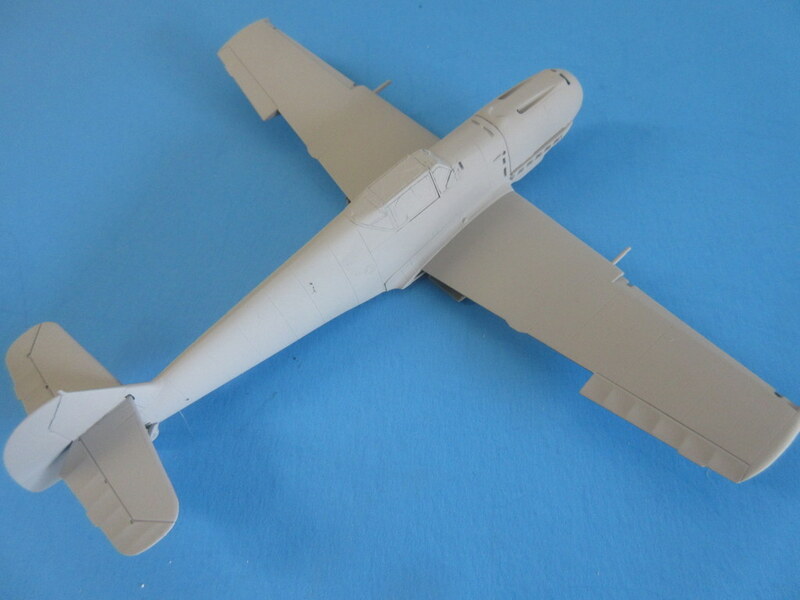 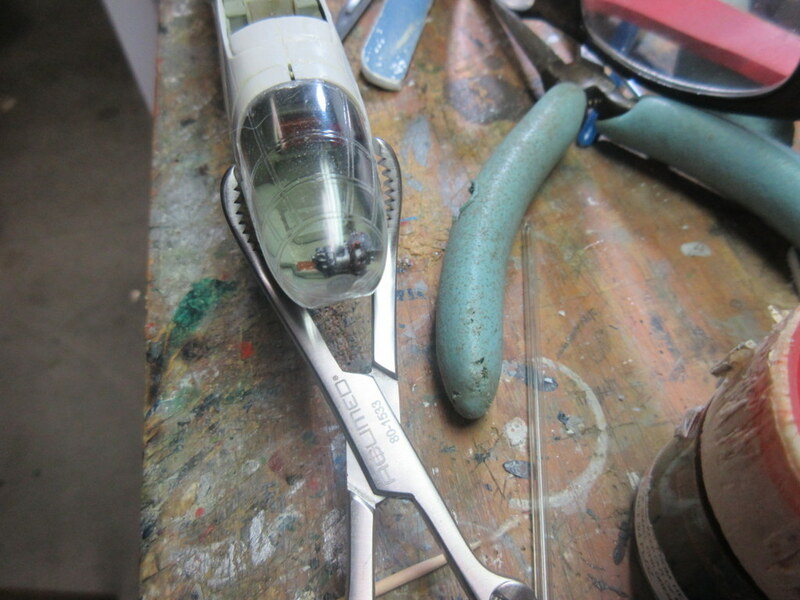 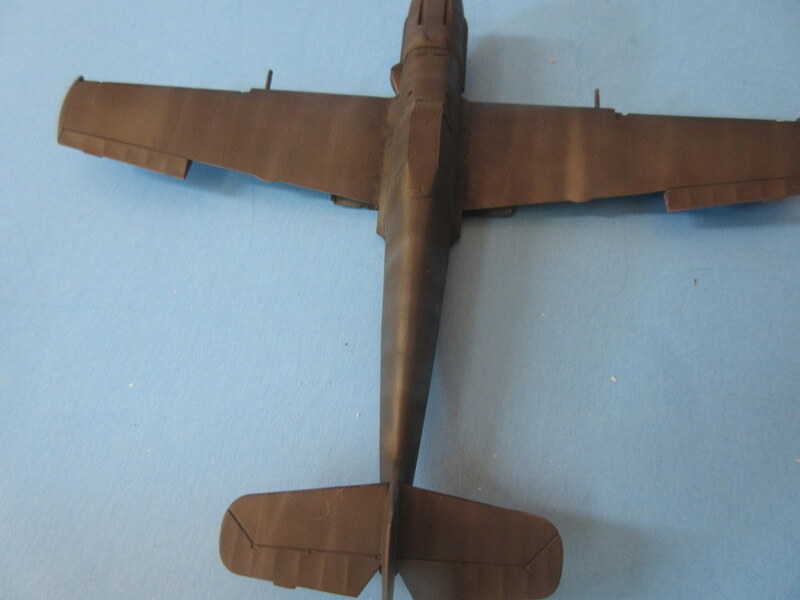 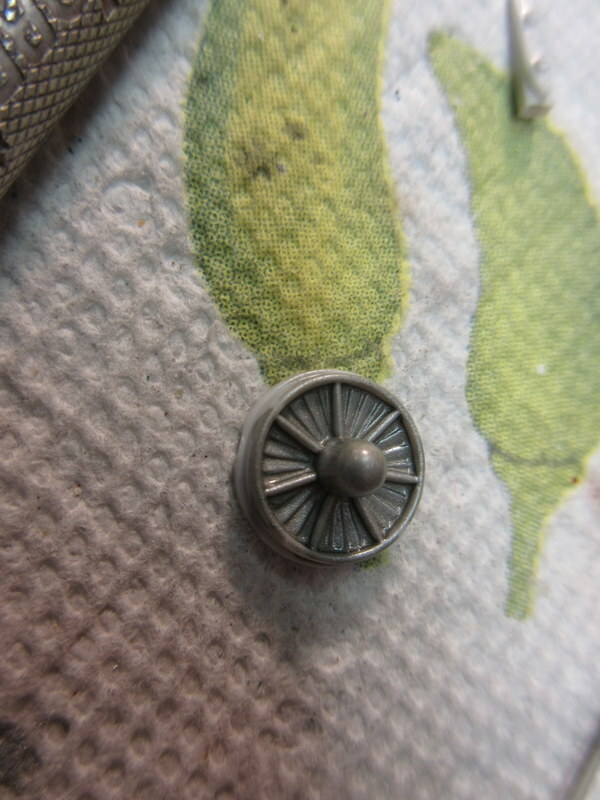 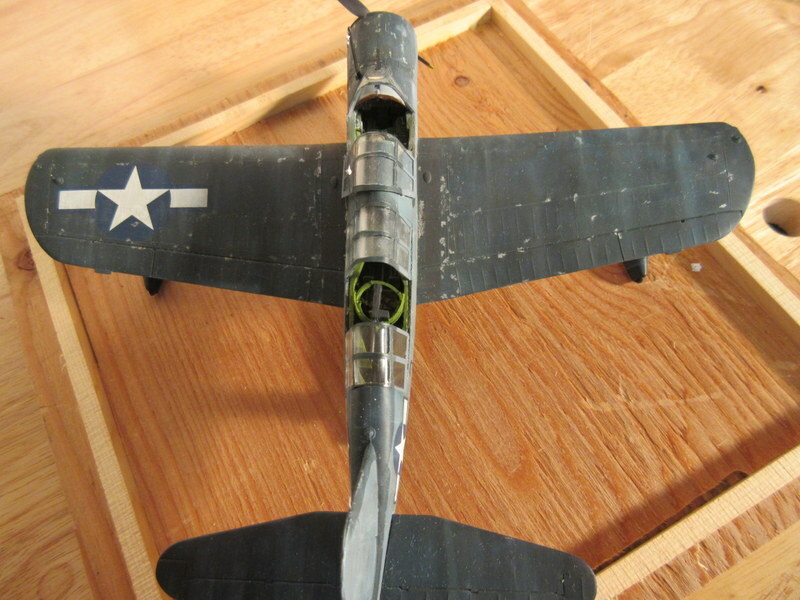 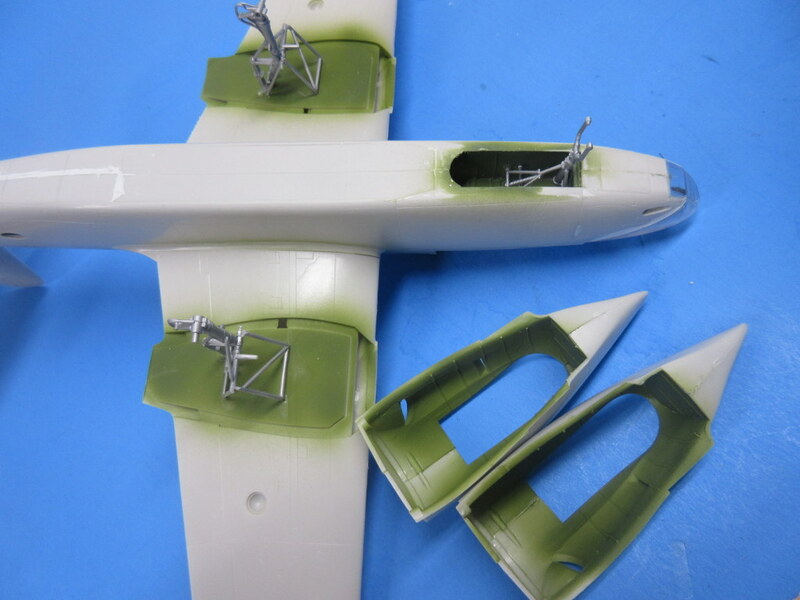 Spent the evening preparing the F-84 for a NMF finish. 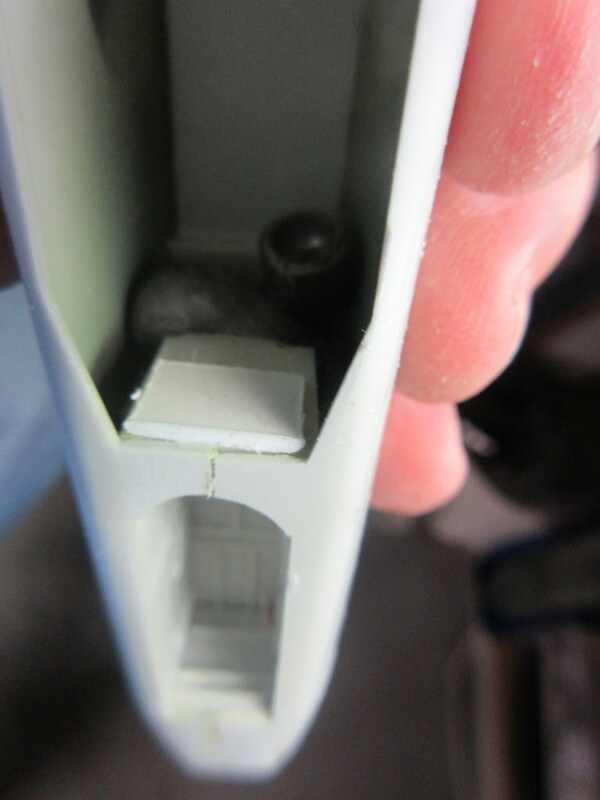 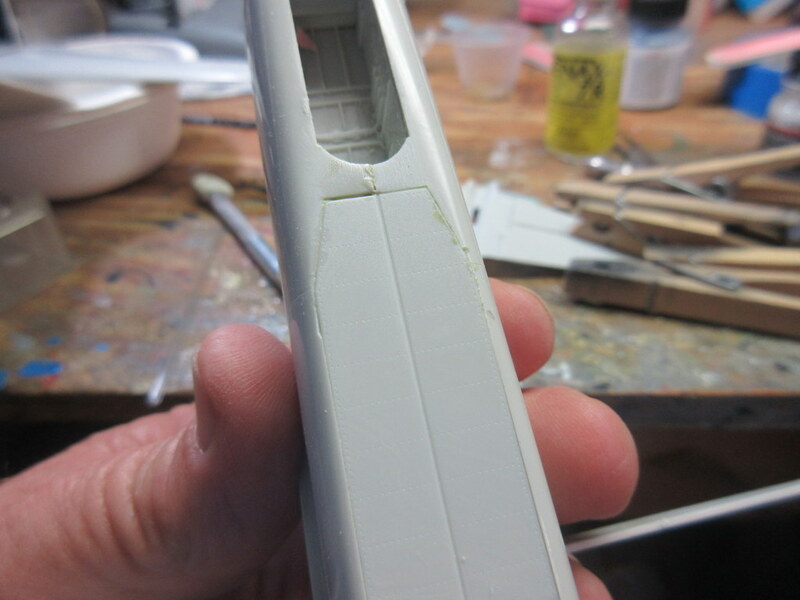 If you didn’t have the first picture I’d challenge you to see where that odd side panel was glued in and sanded. 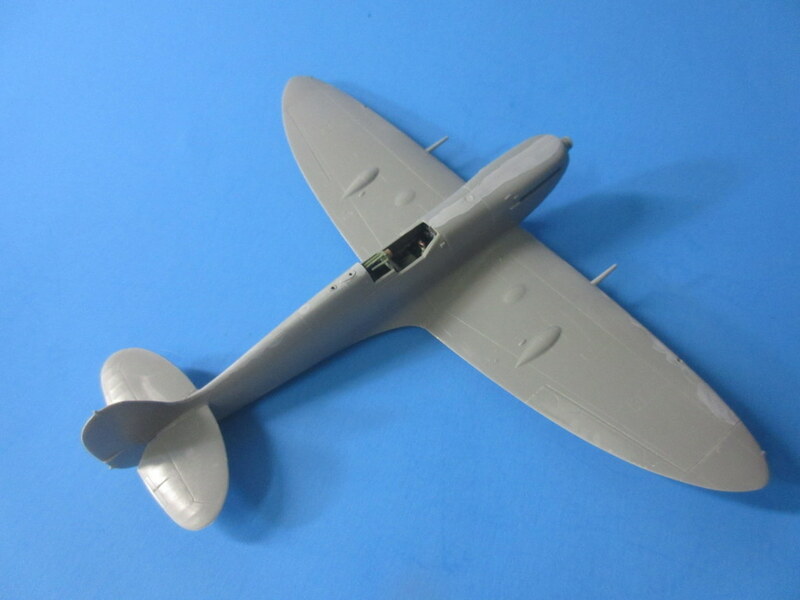 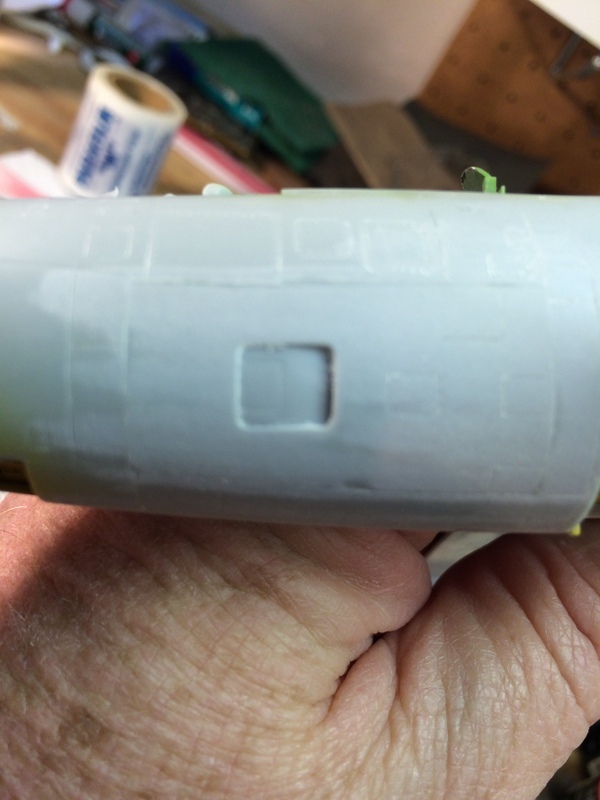 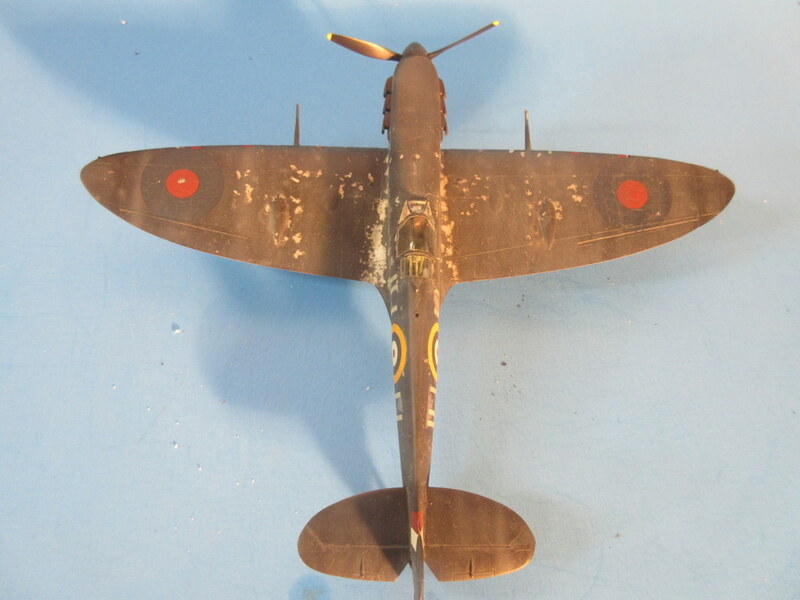 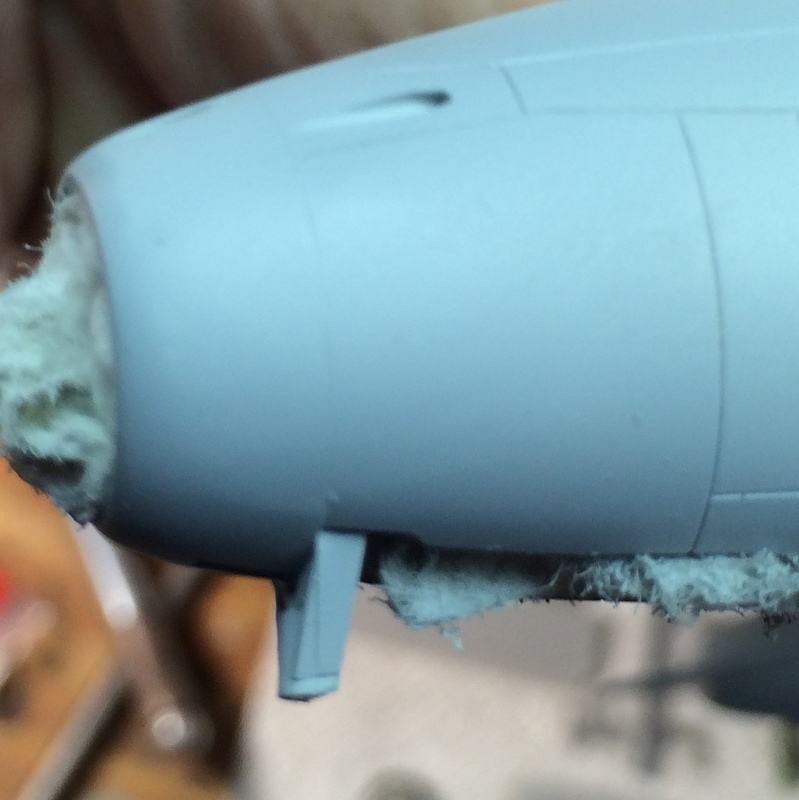 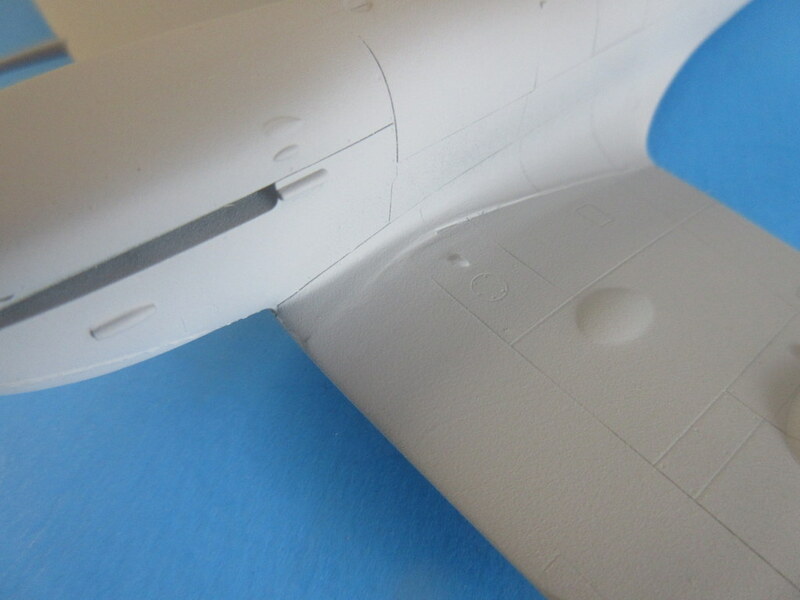 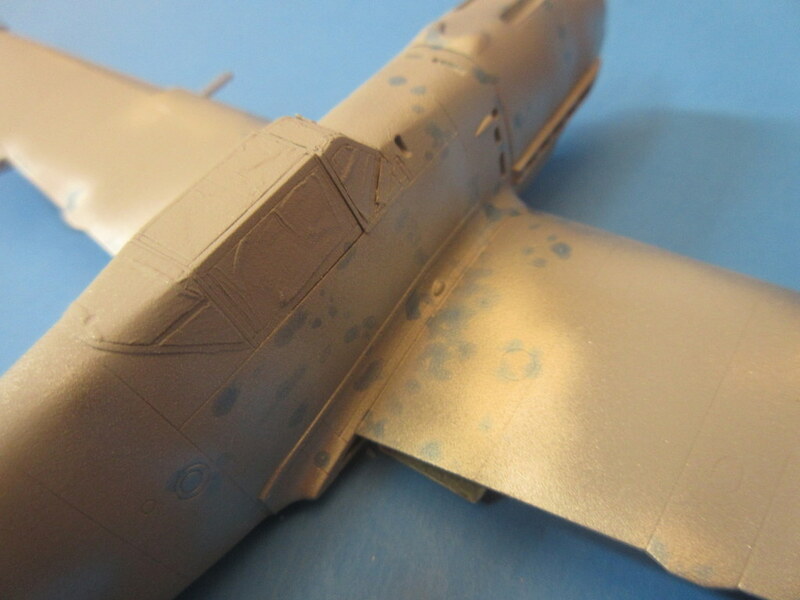 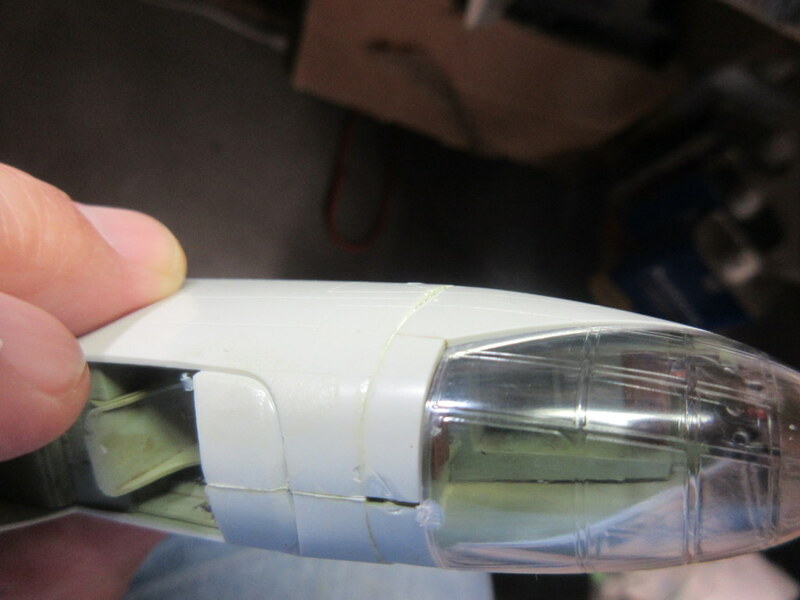 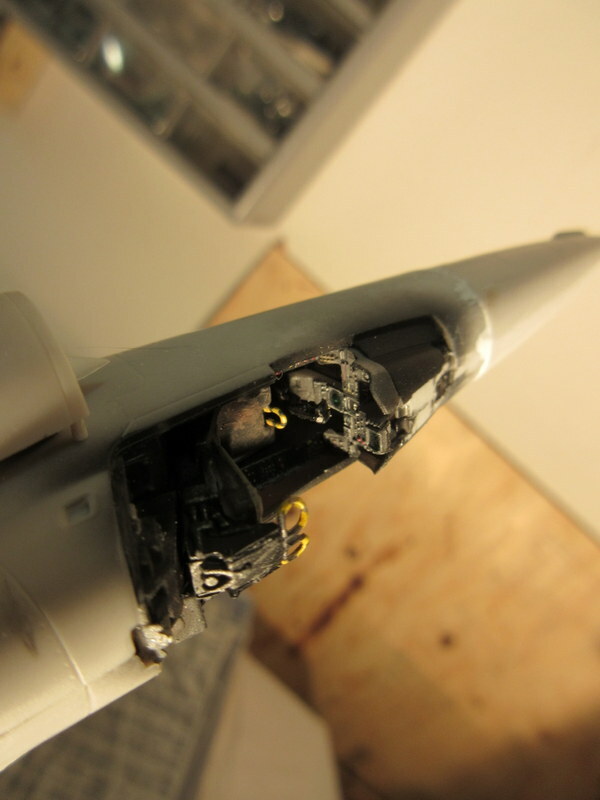 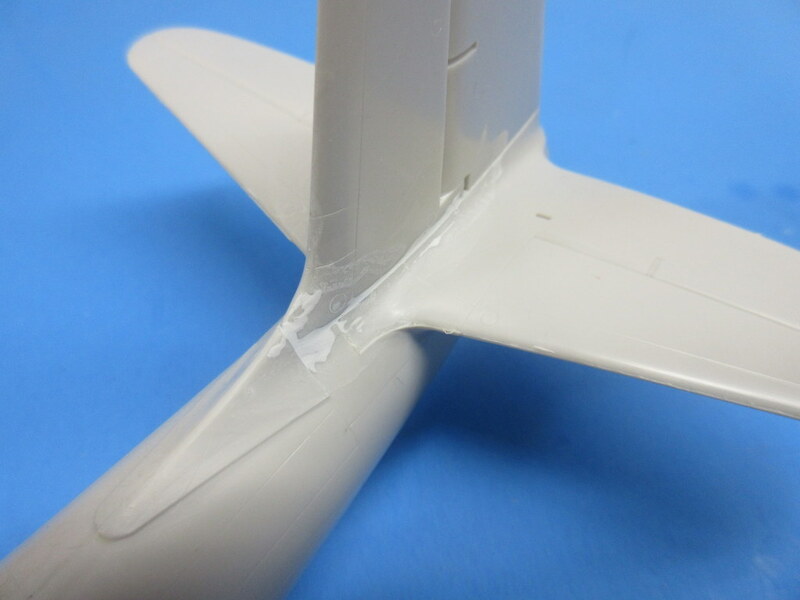 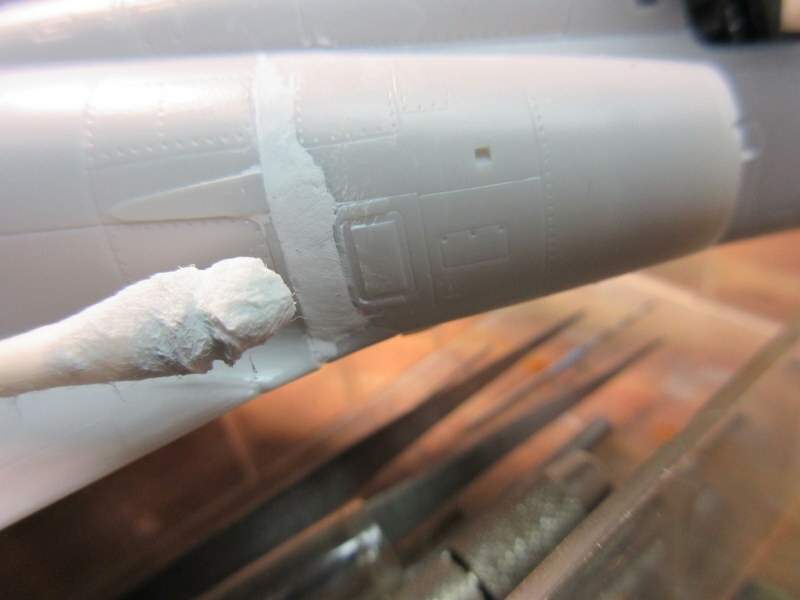 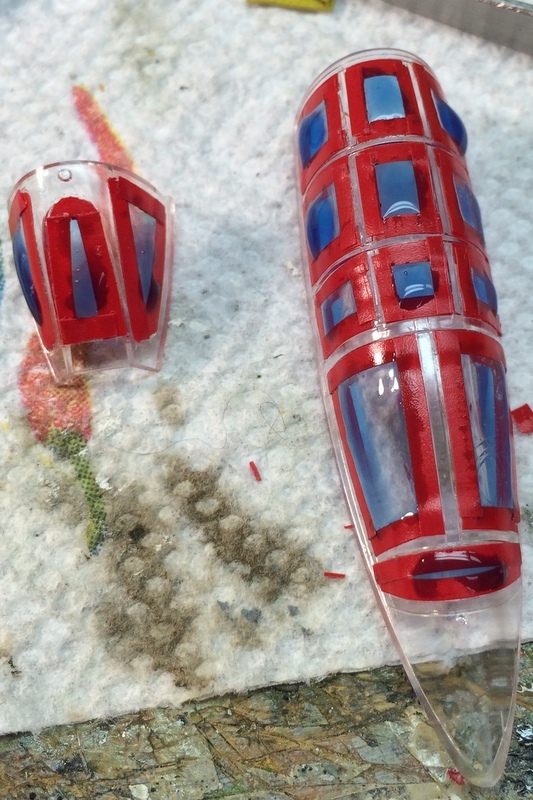 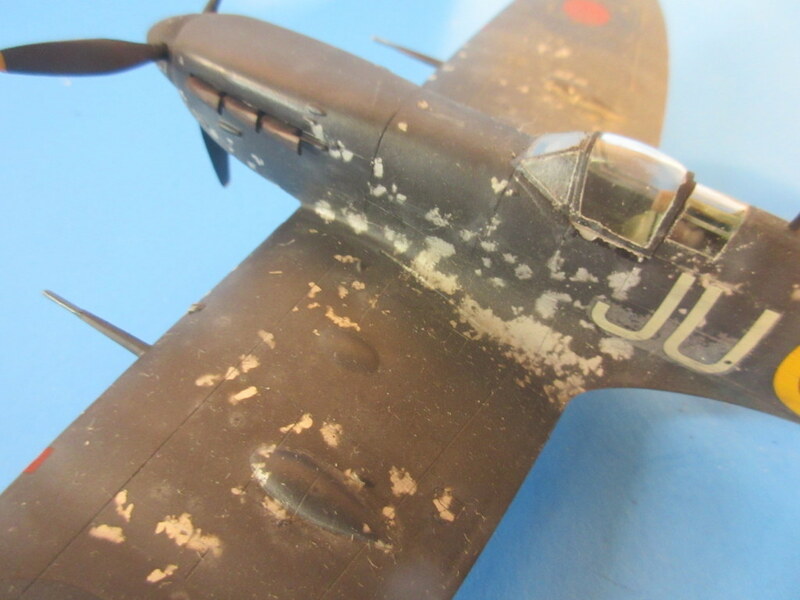 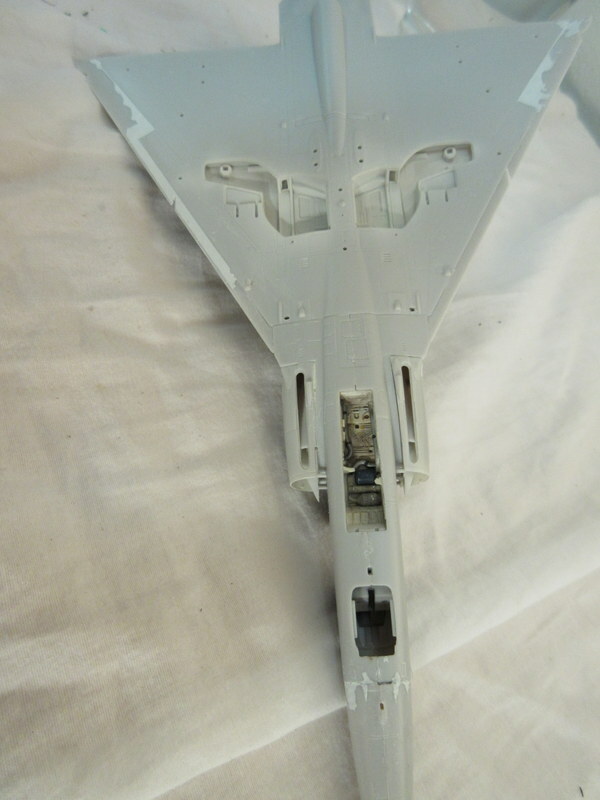 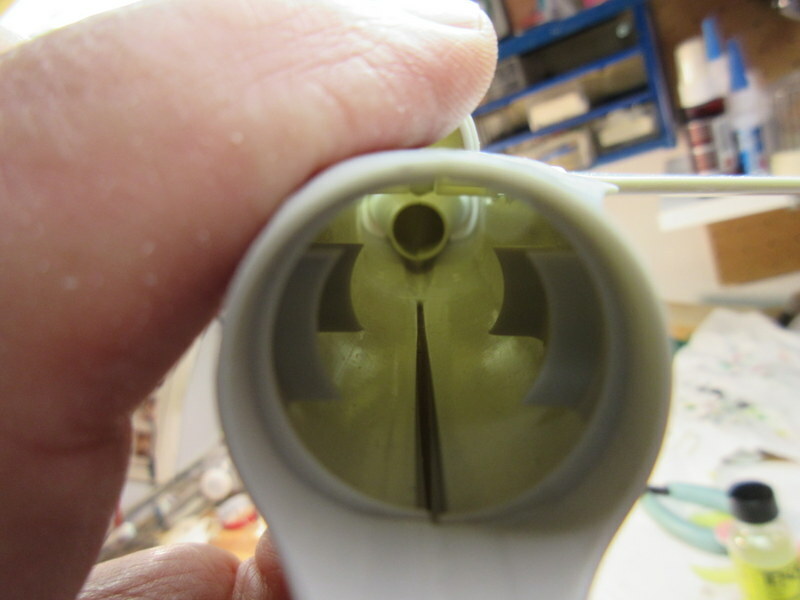 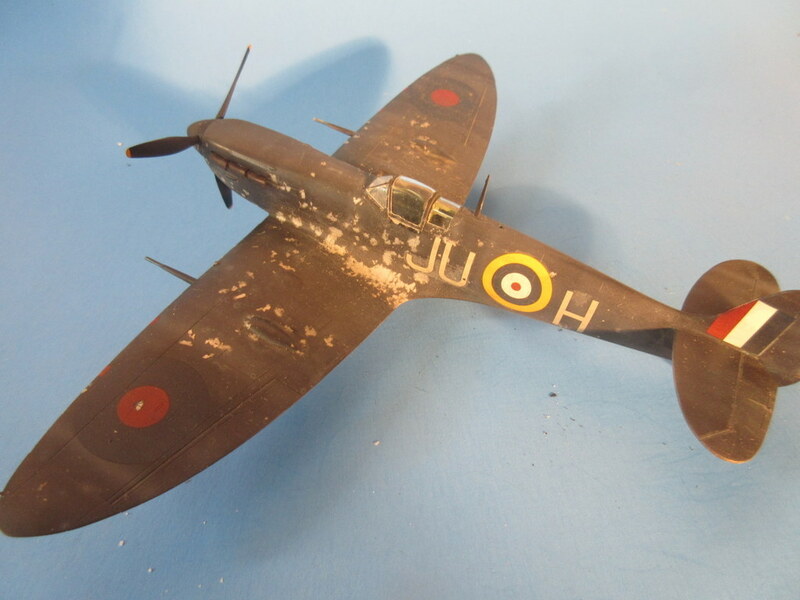 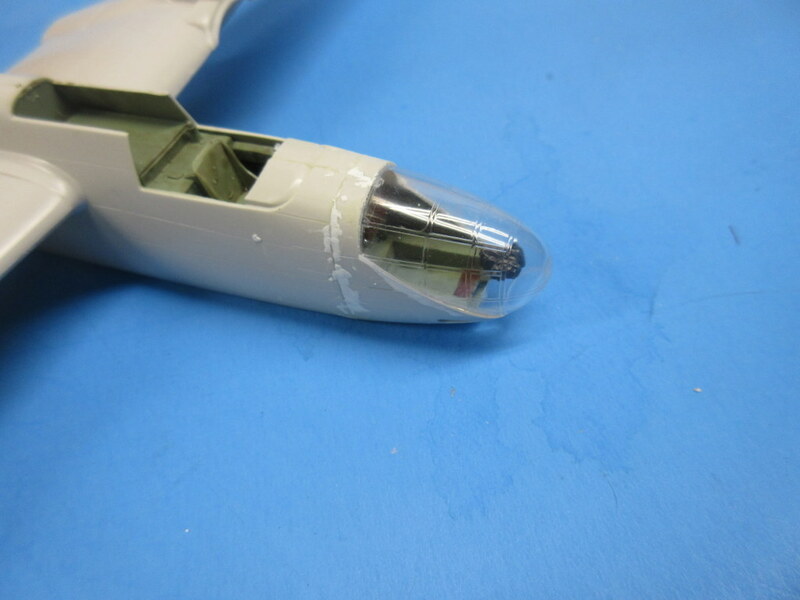 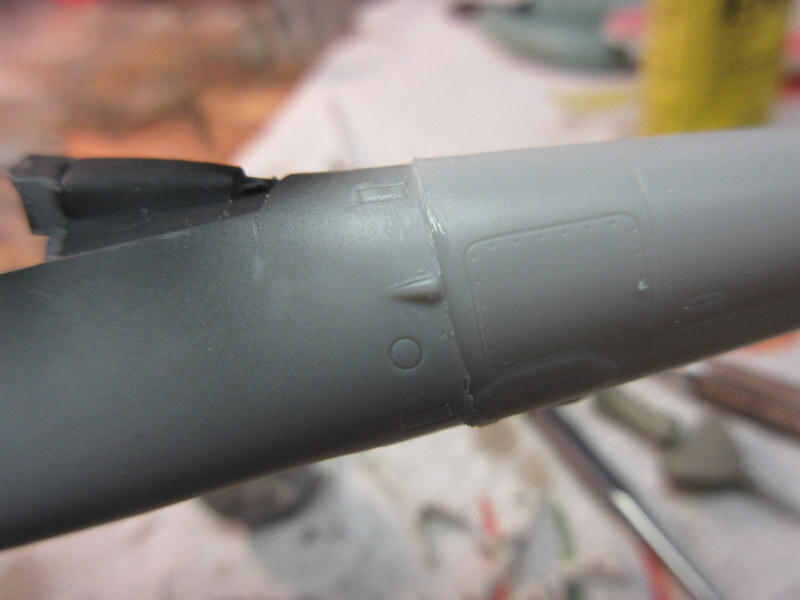 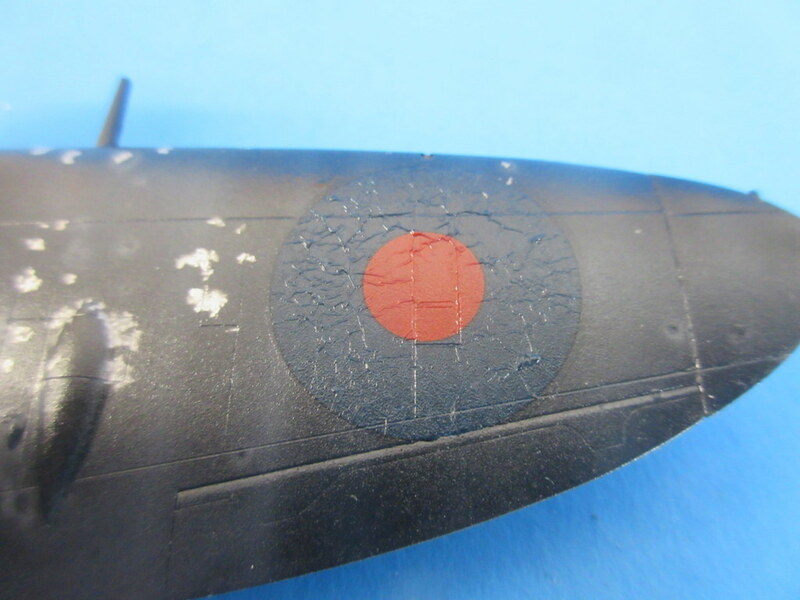 The circular nose intake finished up really well too and the rest of the evening was spent masking the canopy. 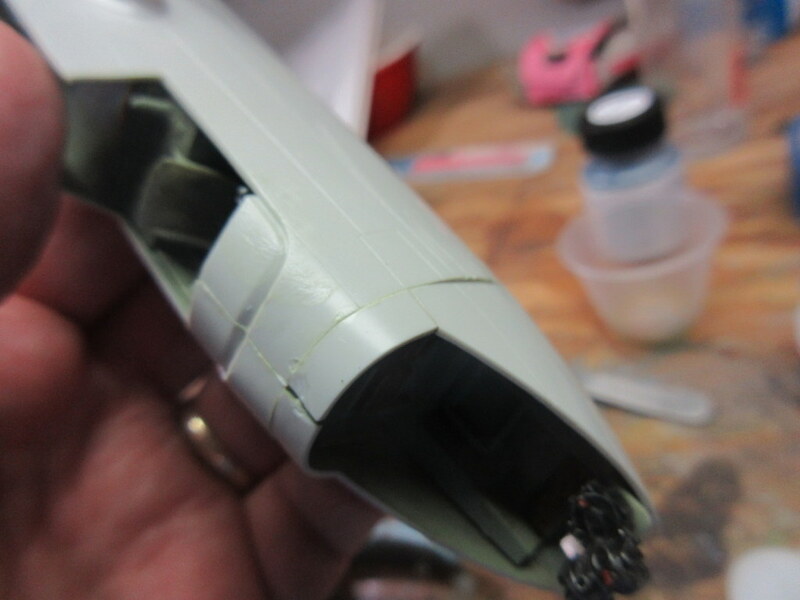 This one was a tough one, lots of panels. 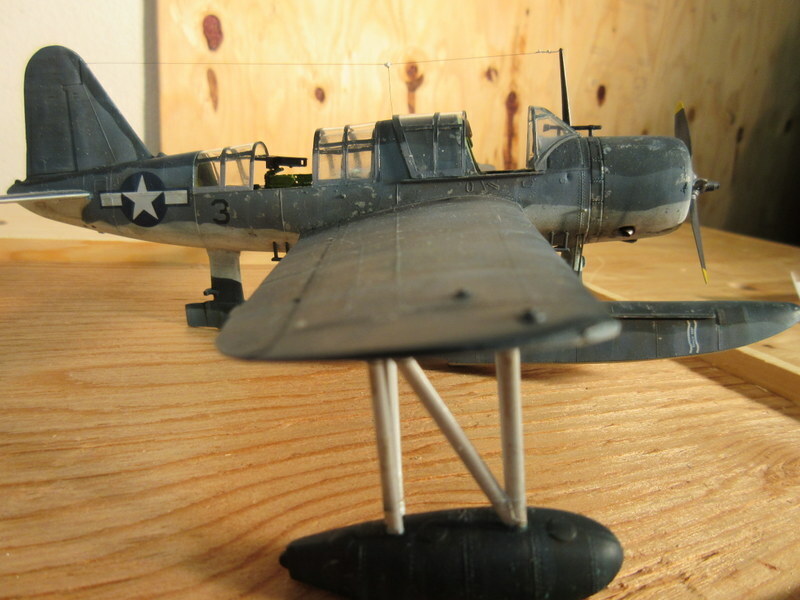 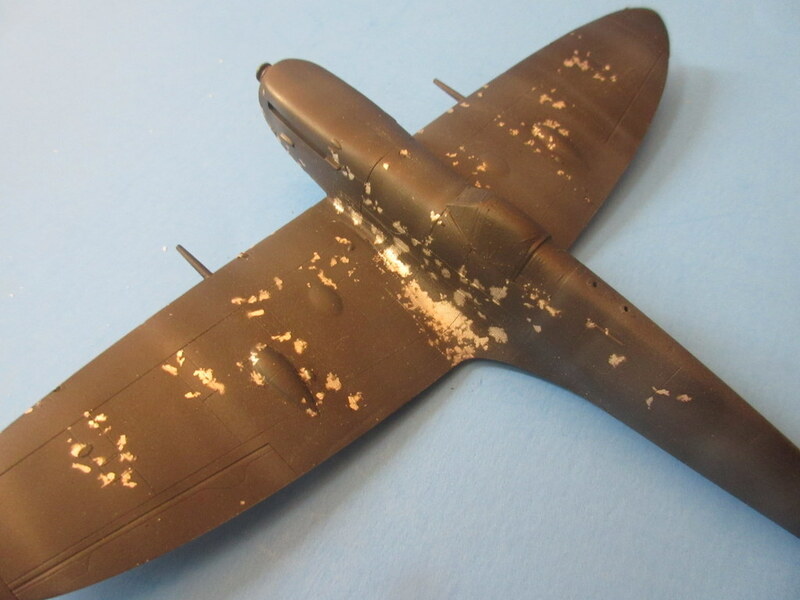 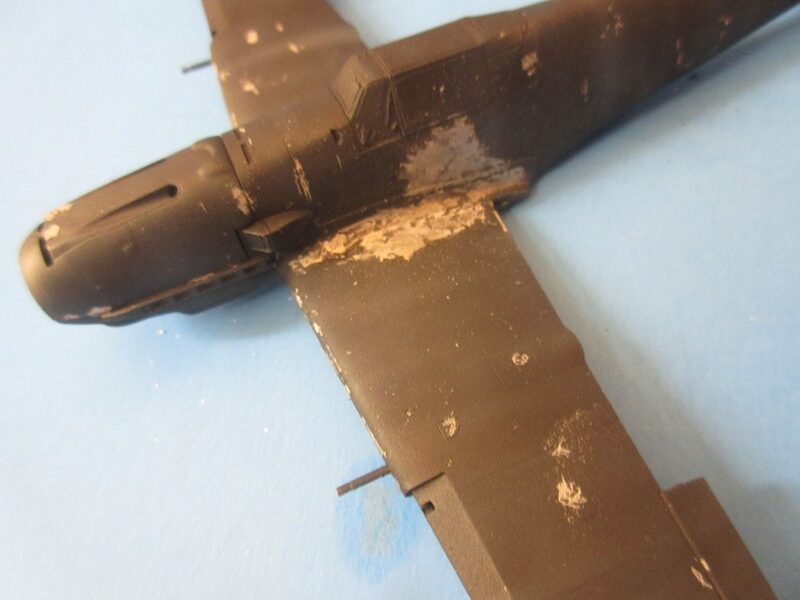 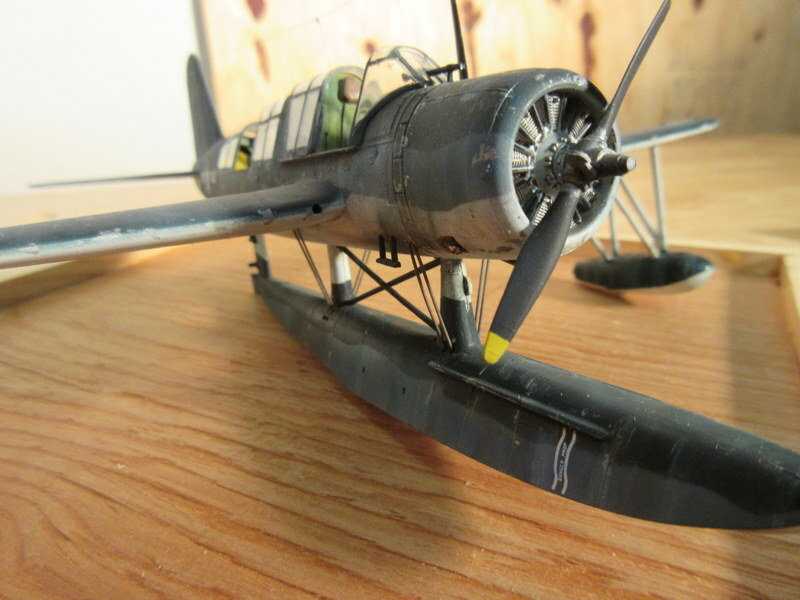 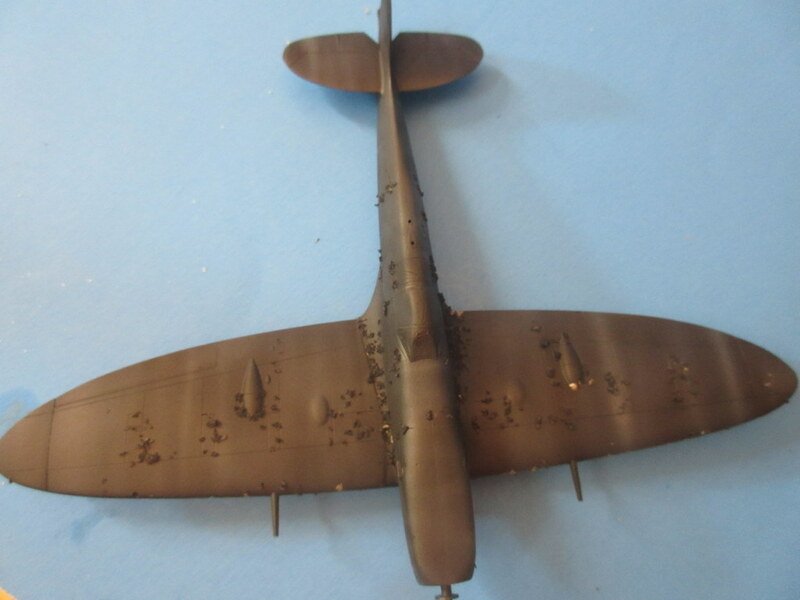 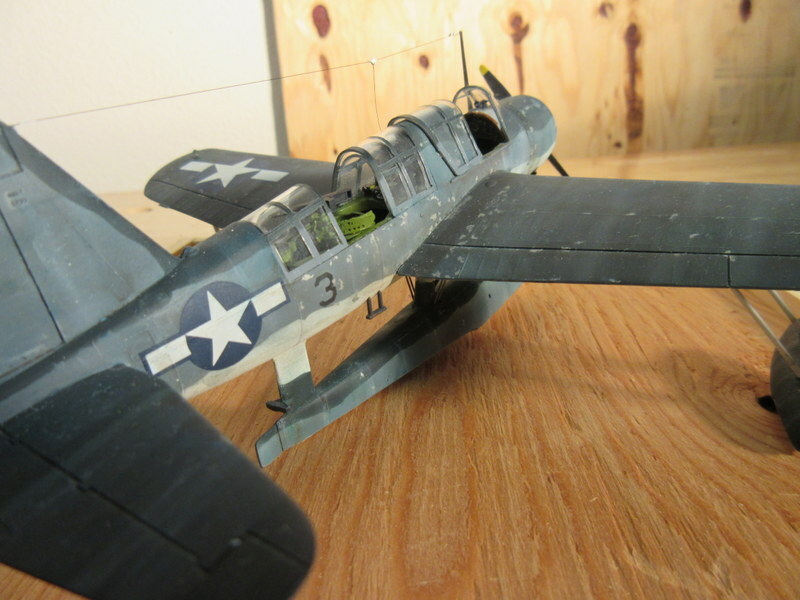 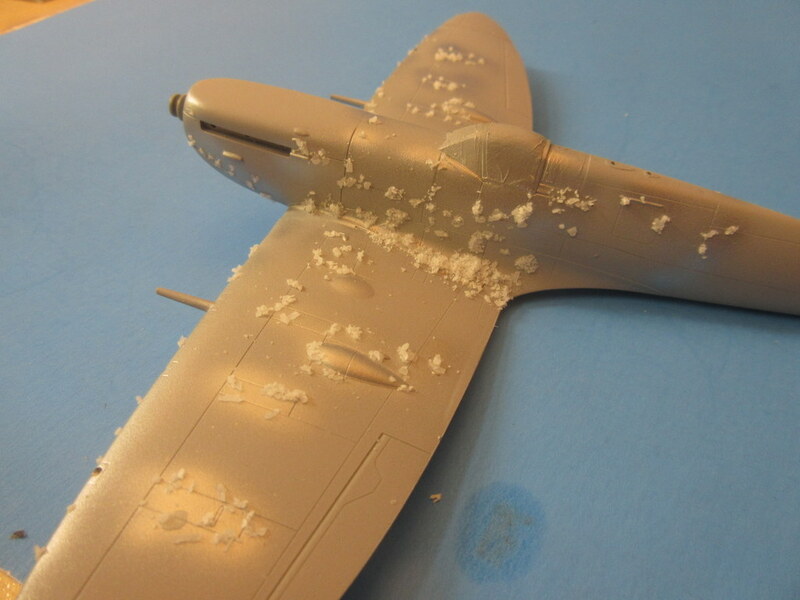 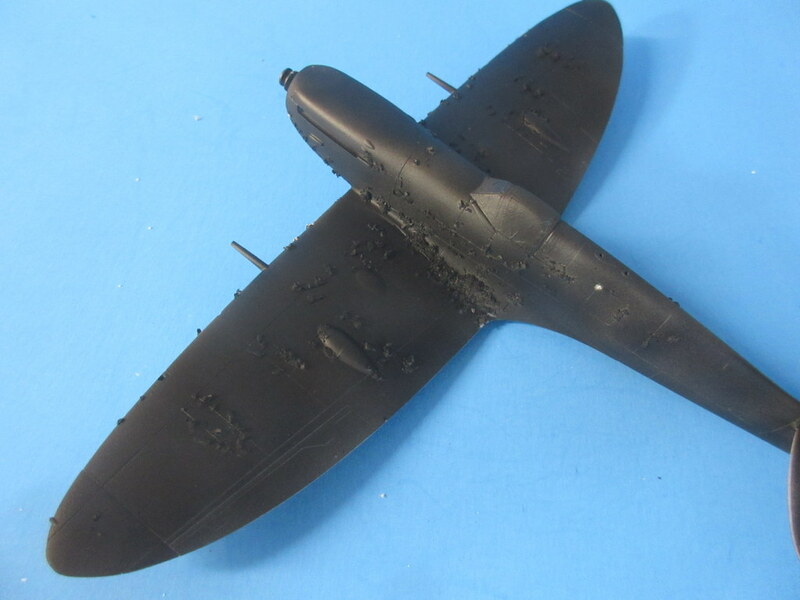 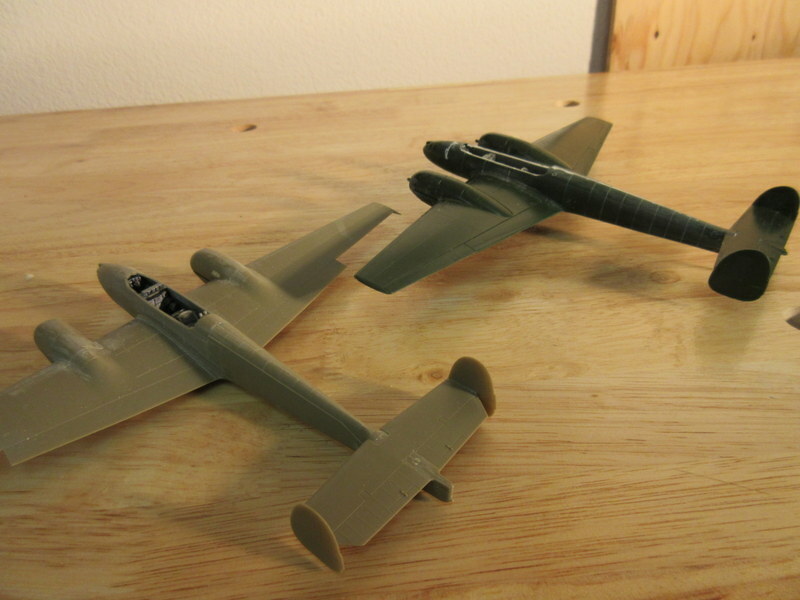 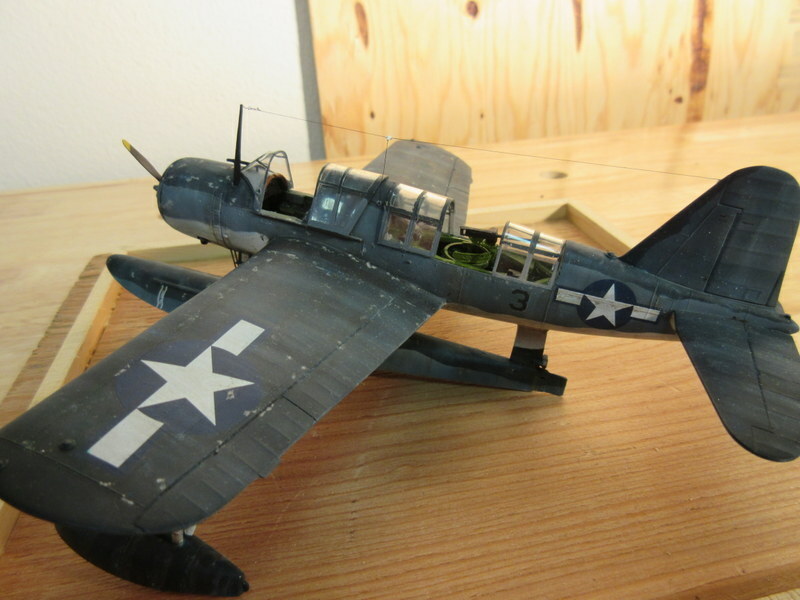 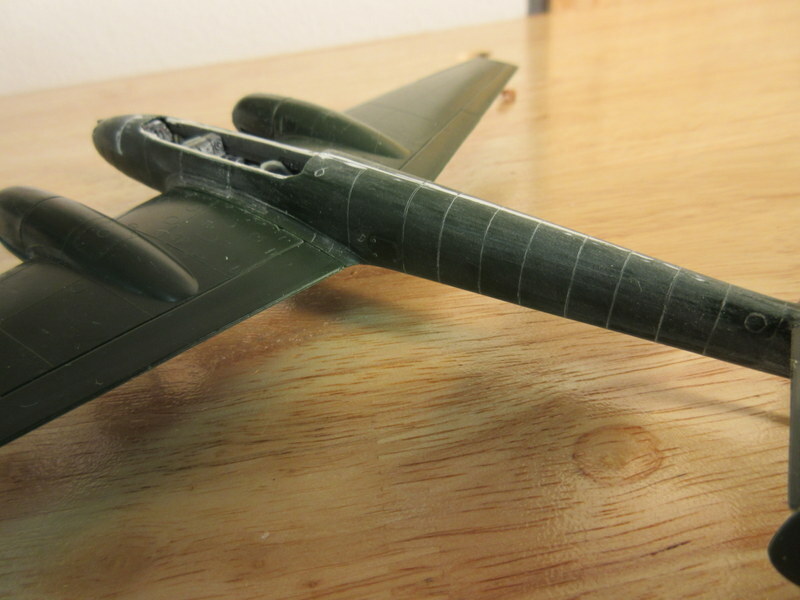 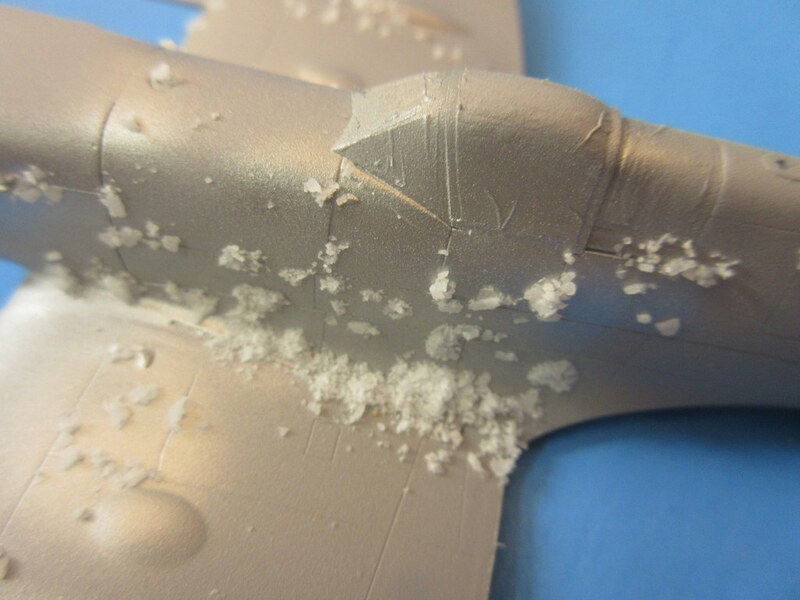 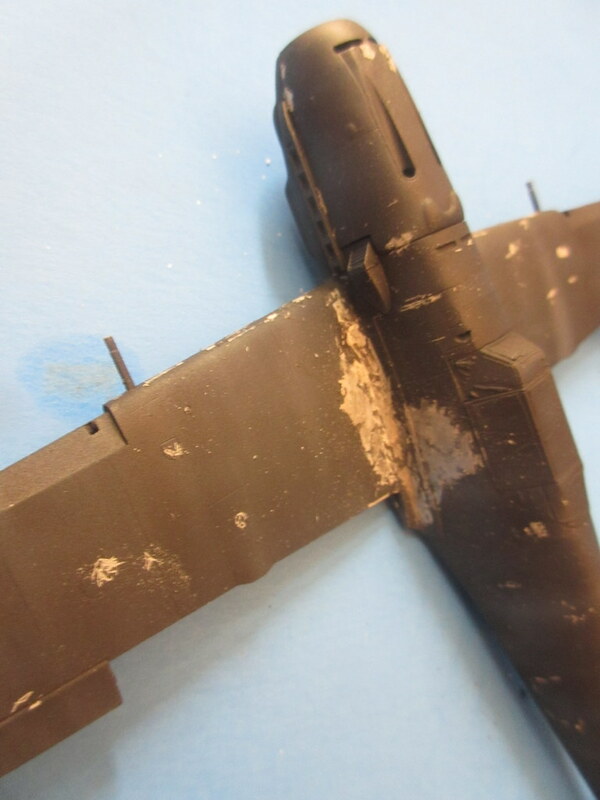 It seem this “bubble” canopy has more panels than the P-61 I just finished. 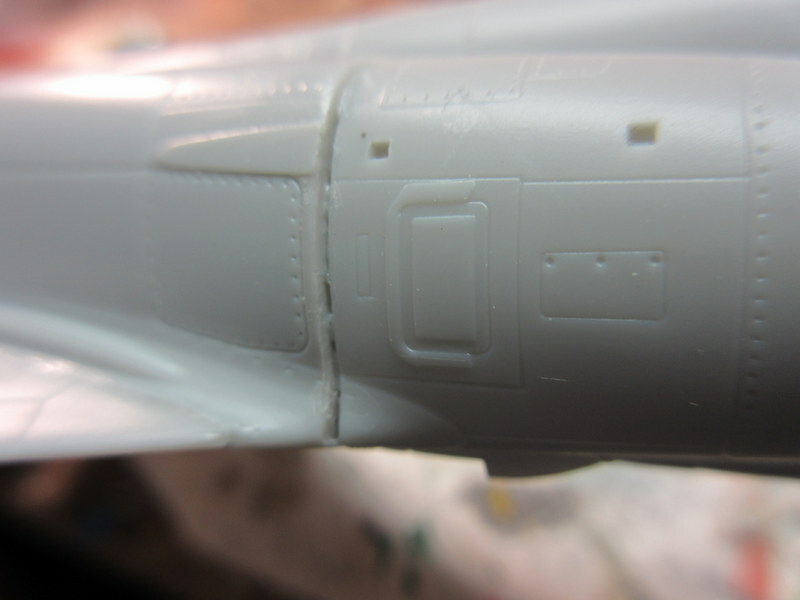 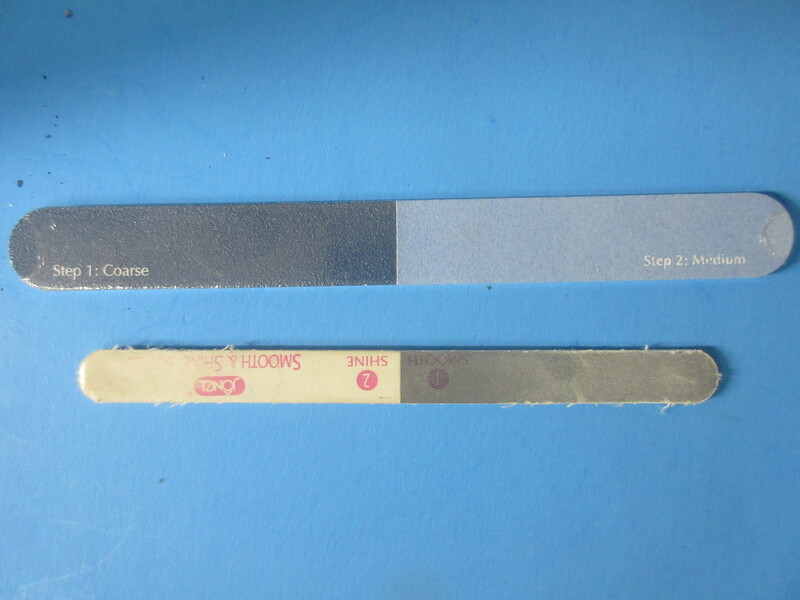 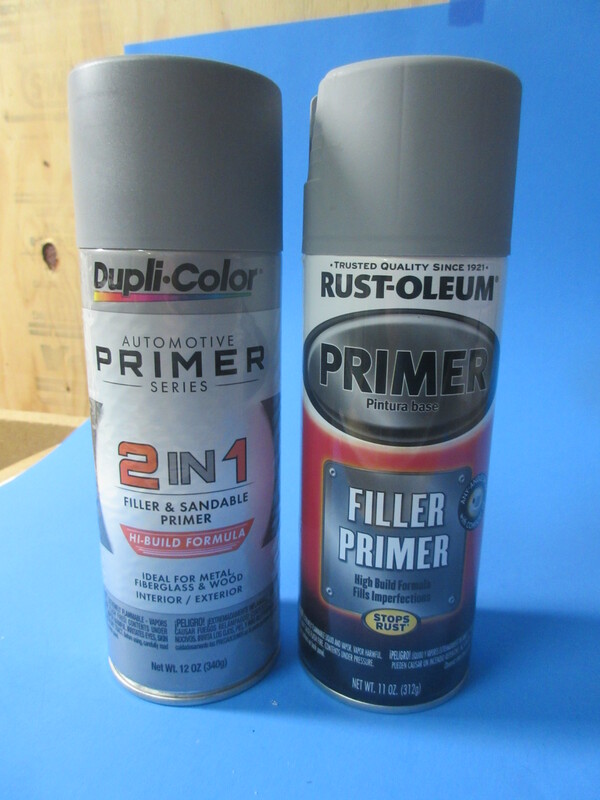 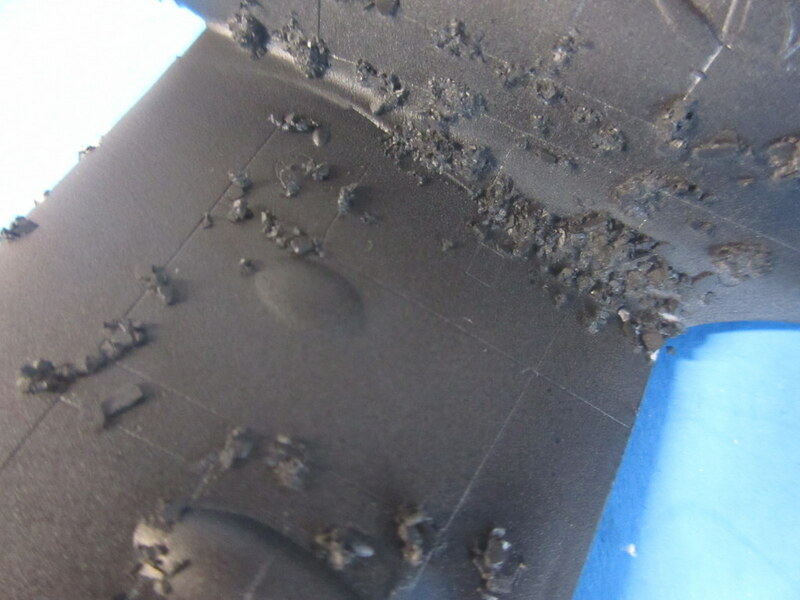 I usually use Parafilm but thought I would try vinyl tape and micro mask this time. 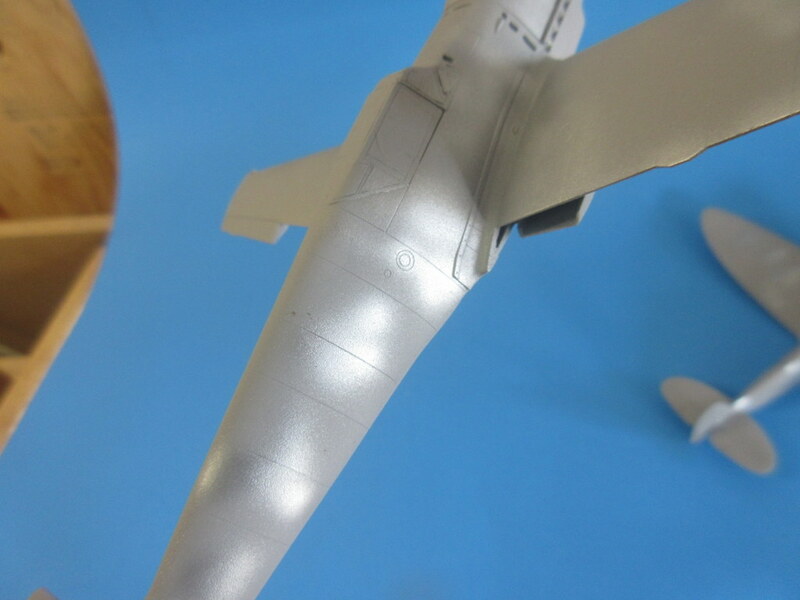 Tomorrow a light overall sanding and last surface check then start painting Alclad.